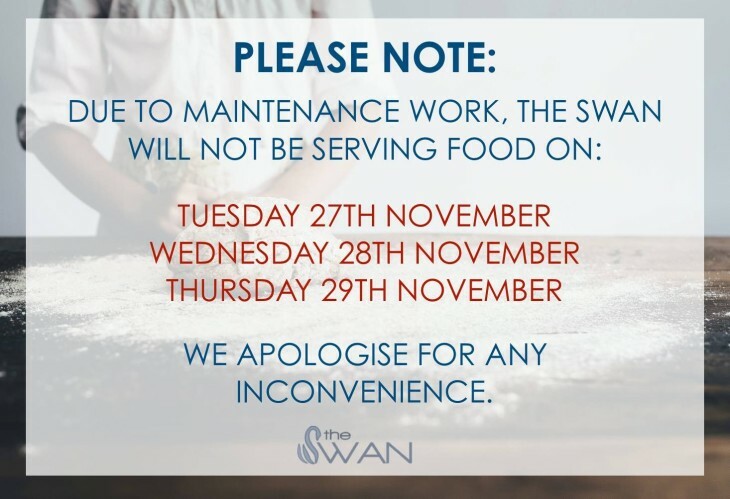 We are making some exciting improvements to our kitchen area, which means we need to close our kitchen for three days from Tuesday 27th to Thursday 29th. The Swan’s bar will remain very much open during this time, so please feel free to join us for a drink. We’d love to have you.